During the annual Facebook F8 developer conference, the social networking giant unveiled plans for the messenger platform aimed at making it a standalone app. Messenger has over time been able to amass 700 million monthly users with over 1 Billion downloads of the Google Playstore. Messenger is a big part of Facebook’s plans to be the centre of communication in the world and some of the plans unveiled included the addition of peer to peer payment capabilities on the application. 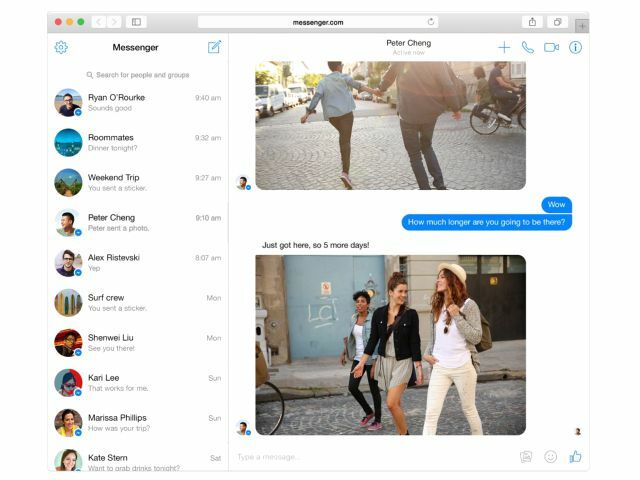 Facebook has since converted the app onto a standalone web messaging tool accessible at Messenger.com and resides outside of Facebook. Users can already chat with their Facebook friends and can opt to use their Facebook account or Mobile phone number to sign up. Facebook also unveiled plans to use the platform as a CRM tool. Facebook announced a partnership with with two shopping sites for the service. The two sites were able to send receipts and shipping updates via Messenger. There were also plans to use messenger to add an item to an existing order that was originally placed on the retailer’s own site. Facebook has now rolled out the solution to most of the small and medium business that control over 40 million Facebook pages. The feature will be included as a send message button included in the Newsfeed allowing Facebook users to click and send the message. When users post a comment on the Facebook page of a brand, they are able to the comment as a message. The addition of this solution is part of Facebook plans to encourage SMEs to advertise on the platform. Users will have the option of blocking messages from brands with Facebook giving the brands that reply to messages badges for quick response. Messenger has also in recent times roll out video calling solutions on the platform. Which Messaging App Ticks Most Security Boxes?